It’s “just” cardboard. HA! Think again! Cardboard is multifunctional, perfect for repurposing, inexpensive, easy to obtain, and, really, it can be fun. Before you throw out that old box, consider the 10 EASY ways to reuse old cardboard boxes. Idea #7 is probably my favorite. What can I say? A teacher is always a kid at heart! 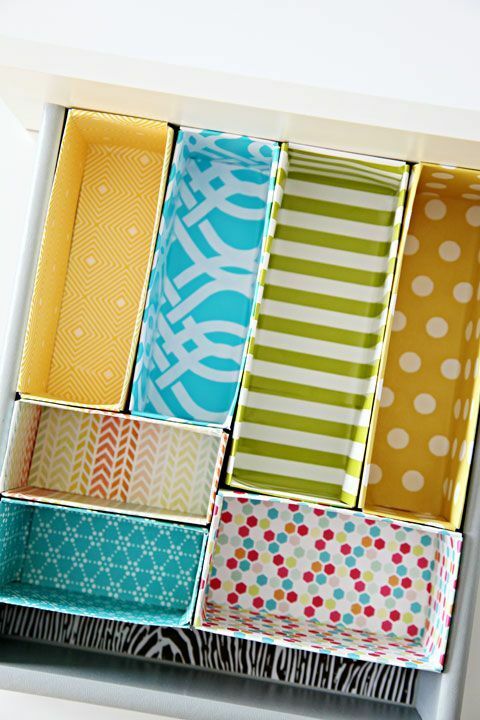 Get yourself organized with cardboard drawer dividers. My three boys have actually used this idea to section off their Lego storage bins. I also used the idea in my bathroom where I couldn’t otherwise find a store bought drawer organizer that fit my darn drawer! Keep your holiday lights untangled and organized by simply wrapping them around a piece of cardboard. Idea from Real Simple. Here’s an idea for your Little Collector! Use toilet paper rolls to fill the inside of a box as a “garage” for toys. I can see Legos having a happy home in this garage, as well as those cute little Tsum Tsum dolls. 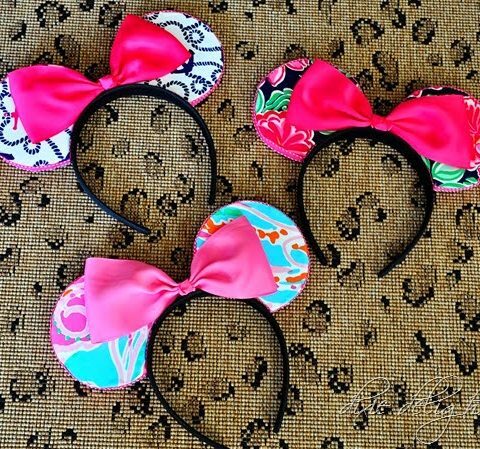 DIY tutorial found here. 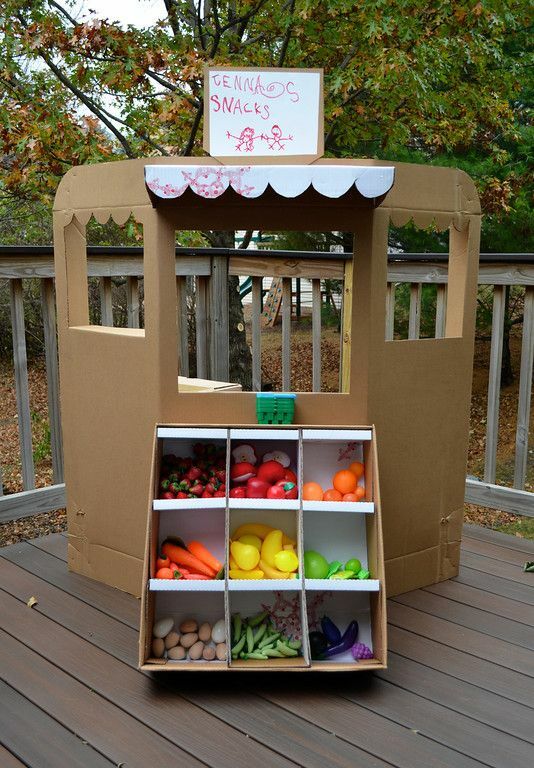 Make a cardboard play market for your Little Dreamer or Innovator. Grandkids and children would have so much fun playing with a market like this! Wait for it… Use a box as a box! Brilliant, I know. But seriously, when you’re trying hard to save money but don’t have $100 to buy storage boxes from Target, just make your own with a cardboard box and a $10 spool of twine. $90 savings? Yes please! Source. 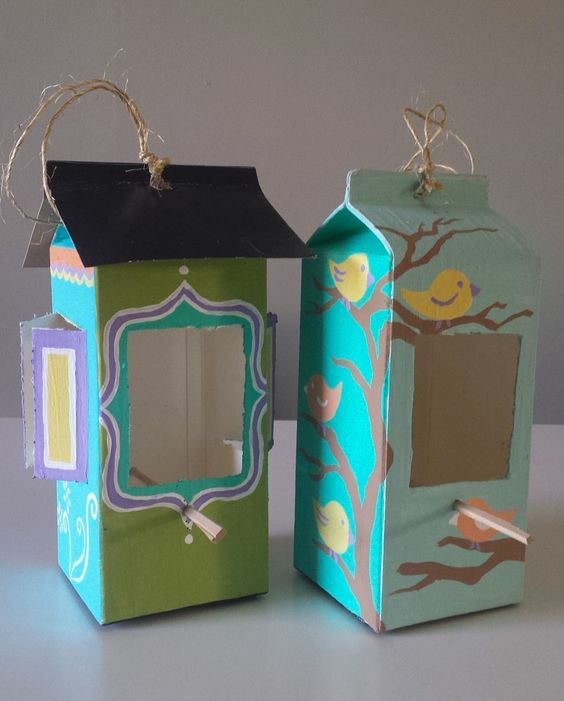 Make cardboard bird feeders as a weekend or summer activity. 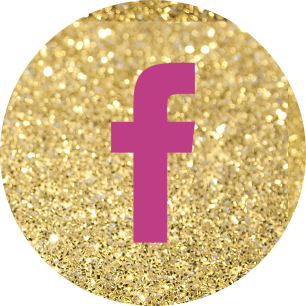 Tweet idea! (What’s a complete day without some cheesy puns!?). Tutorial. I just LOVE this idea! 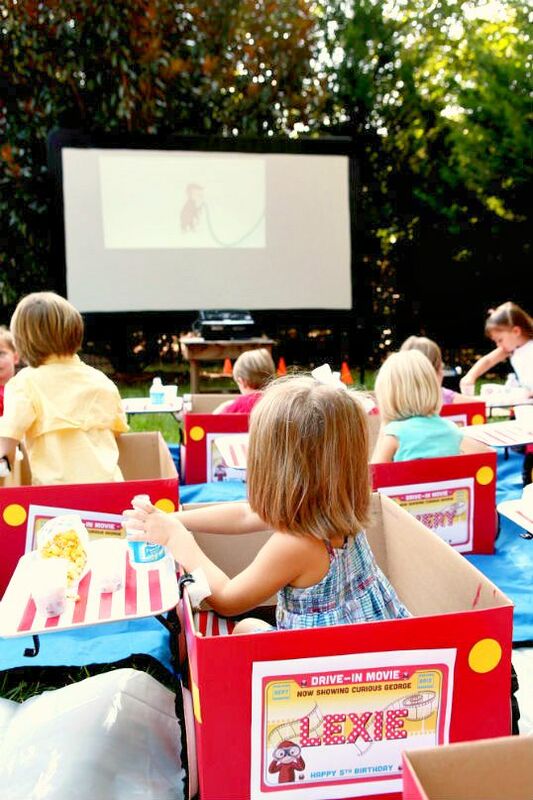 Throw a drive-in movie party. If children are old enough, they would have so much fun designing their own car before the party gets started. How awesome are the dining trays on the side?! I’d make the job easy and just use plastic shower caddies from the dollar store instead! Drive-in mage source. 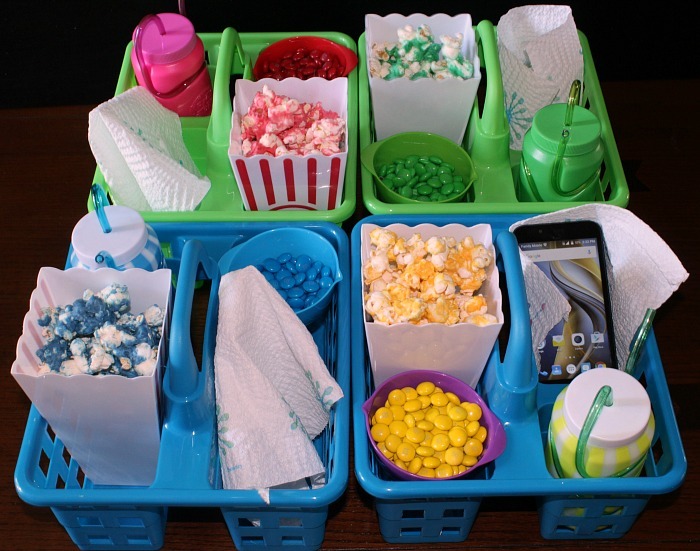 Food tray image source. We have a tradition of making gingerbread houses each year in our home, but between all the gingerbread ingredients and candy, man can those things be expensive! And for my Lego-building architect boys, the other problem with gingerbread houses is that once it’s built, it’s built. That’s it. I found this idea a few years back and my sons have really enjoyed making miniature cardboard villages during Winter Break ever since. I’m always really impressed with the designs they come up with! Get your papers and mail in order with custom-made hanging files. 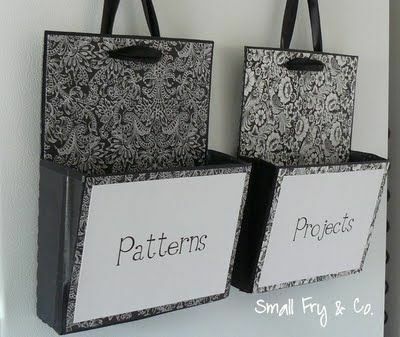 Learn how to make these handy boxes from Small Fry & Co. 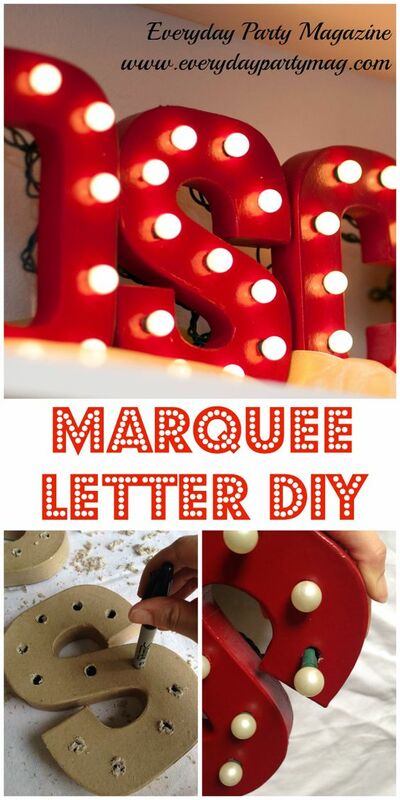 Marquee letters and shapes can be super fun to add to a room or to have for party decor. What’s not fun? Paying the high price for those illuminated boxes! Make your own instead for a fraction of the cost. Learn how here.